1. Tog Hill – Just off the M4 Junction for Bath is a rest stop. Behind this place is a wooded area that serves as an England dogging location during the night. 2. Clifton Downs – Perhaps the most notorious of all for dogging in the Bristol area. There is an area with picnic benches which is a known spot for the action. 3. Aust Wharf, near Severn Bridge – The action happens near the bridge at the end of the road. 4. Backwell Lake – It is just off station road, next to the rail station between Blackwell and Nailsea. 5. Bristol Castle Farm road – Just off Abbots road in Hanham and you will find the Bristol Castle Farm road. There is a picnic area at the bottom of the road. 6. 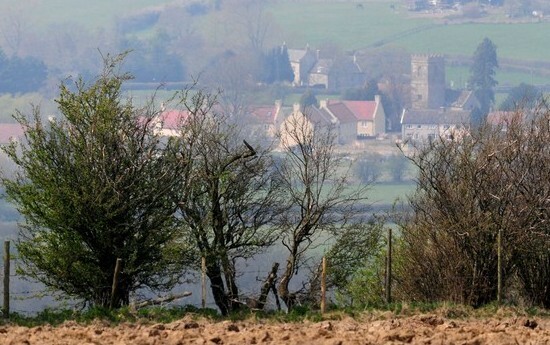 Bristol Airport area – Past the airport and turn right towards Chew Magna and left into Felton where there is a small car park notorious for dogging. 7. Sand Point near Weston-super-Mare – Sand Point not far from Weston-super-Mare is a known spot for dogging. Head for sand bay follow the road through.